Thank you for your continued involvement in the Valley Line (SE-West LRT) project. On August 21, 2013, the City of Edmonton Transportation Committee of Council made a motion that the Valley Line Environmental Impact Site Assessment come back before Committee on September 11, 2013 for approval. 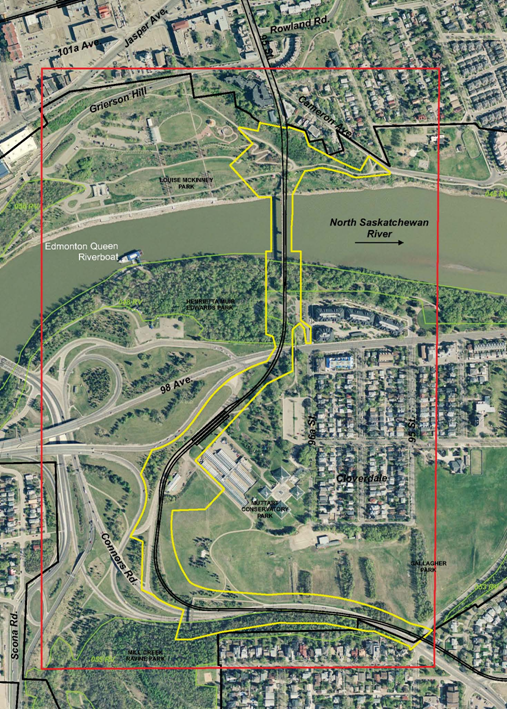 As outlined in the North Saskatchewan River Valley Area Redevelopment Plan (City of Edmonton Bylaw 7188), Stage 1 of the Valley Line LRT has performed a comprehensive Environmental Impact Screening Assessment (EISA) of affected sites. This assessment details potential impacts, areas of concern and mitigation measures for River Valley sites affected by Valley Line LRT construction and operation. The assessment has now been completed and is available here, along with the accompanying Site Location Study (SLS). In conjunction with the release of the EISA, City Council’s Transportation Committee will hold a non-statutory Public Hearing to accept feedback from citizens of Edmonton regarding the EISA’s findings. You're invited to attend the Public Hearing to express your views or listen to the deliberations. Relevant bylaws, reports, agendas and livestreams of meetings can all also be viewed at www.edmonton.ca/meetings or at the Office of the City Clerk. If you wish to speak at the Public Hearing, please complete a Request to Speak form, or request one from the Office of the City Clerk at 780-496-8178. To designate someone to speak on your behalf, please provide them with a written permission form which includes their name, the item they will speaking on, your name and signature. Public Involvement for the Southeast to West LRT continues this fall! Stage 4 Meetings will be held for Areas 1-4 (Mill Woods Town Centre – City Centre West) to present the LRT stop/station design based on feedback from the spring meetings. Participants will be asked to provide final feedback on the proposed designs before these are finalized. These meetings are drop-in events with two identical 30 minute presentations. Participants will also be able to view displays, provide input and speak with project team members. We will present the final recommended Preliminary Design for Areas 1-4 in Spring 2013. Consultation in Areas 5-6 will continue in mid-2013, with the final recommended Preliminary Design of the entire 27 km alignment being presented in late 2013.